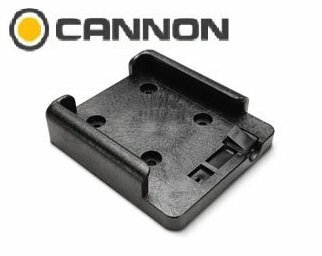 Cannon low profile swivel base, manufacturer's part number 2207003, gives 360 deg rotation on any Cannon downrigger from a 16-point swivel base that locks every 22.5 deg. Lexan components and stainless steel construction. Low-Profile Swivel Base . 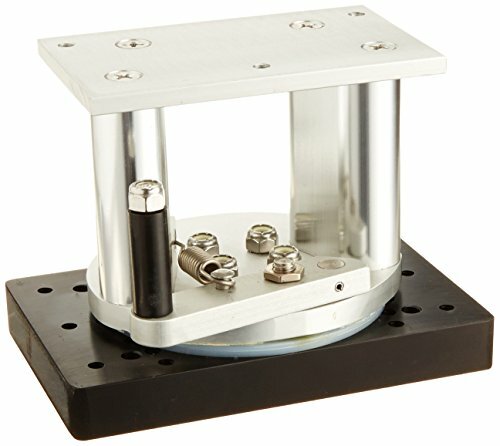 Heavy-duty Lexan and stainless steel swivel base. 1 1/8" tall. Six-point locking including two 45-degree positions. Measures 5" x 5" x 1 1/8". For all Cannon downriggers. 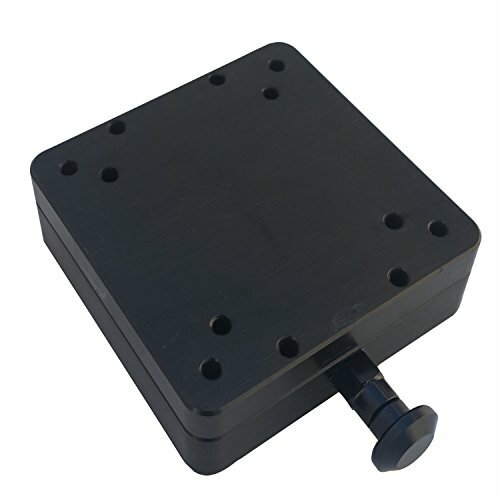 Includes four 1/4" - 20 x 1 truss head screws . 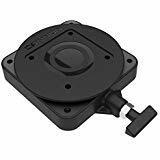 For surface or track mounting, this smooth-action swivel base rotates 360°, with 16 locking points spaced every 22.5°. The top plate is pre-drilled and tapped for mounting Cannon downriggers (and other downrigger brands). The Bert's Custom Tackle Swivel Base is pre drilled and tapped to accommodate all downriggers on the market. Our special bearing system allows you to easily swivel your downrigger, crab or shrimp pot puller inboard or out board even with the heaviest load. Easily slides into our patented BCT Track. 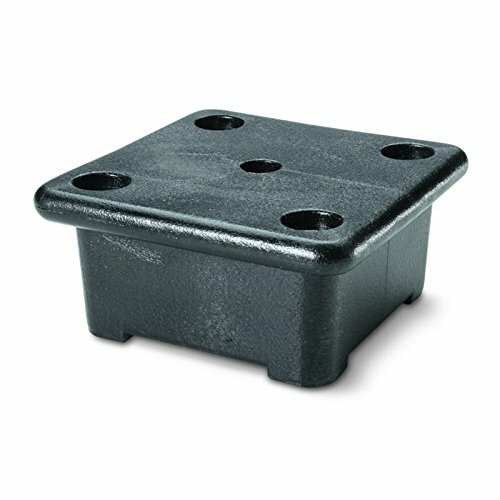 For surface or track mounting, this sturdy fixed base comes in 4" and 6" heights. The top plate is pre-drilled and tapped to allow mounting of a Cannon swivel base and downrigger (and other downrigger brands). Allows for easy removal and replacement of Lake-Troll, Sport-Troll, Legacy Easi-Troll, and Mini-Mag downriggers. Built with heavy-duty composite construction for corrosion and UV resistance. 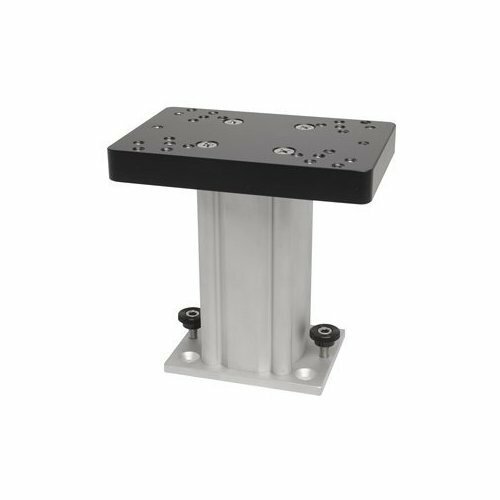 Mounting base for large-body electric Cannon downriggers (Magnum 5 ST, Magnum 10 STX, Magnum 10 STX-TS, DT5, DT5 TS, DT10, and DT10 TS Features 316 stainless steel construction for superior corrosion resistance. With 16 locking points, this base allows for 360° downrigger rotation with locking positions every 22.5°. 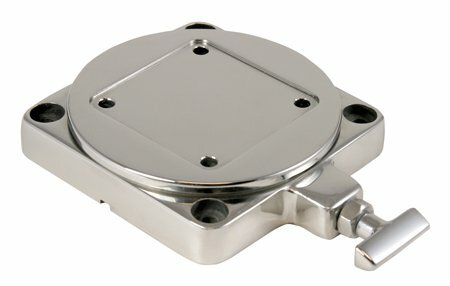 Built from 316 stainless steel for strength and corrosion resistance. With 16 locking points, this base allows for 360 downrigger rotation with locking positions every 22.5. 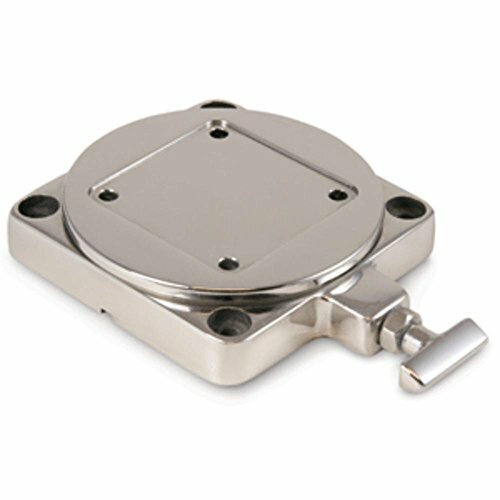 Built from 316 stainless steel for added strength and corrosion resistance. Mount-It! TV Turntable Stand, Rotating Swivel TV Base 32, 37, 40, 42, 47, and 50"
The MI-43111 is a professionally advanced articulating desk mount. Engineers worked hard to keep this model universal, easy to install, and stylistically contemporary. The die cast aluminum alloy is capable of withstanding 19.8 lbs of weight which covers most of this mounts screen size limit of 30 inches. Fits Two 14, 15, 19, 20, 23, 24, and 27"(14 to 27") Samsung, Acer, Viewsonic, LG, Dell, HP, Asus, AOC flat panel LCD and LED monitors.VESA: 50x50mm, 75x75mm or 100x100mm.Each monitor supports 22lbs in weight. This universal tv stand looks simple, elegant and won't take a lot of sapce. It is a conbination of shelf and mount, what's more, The mount can Swivel +/-40¡ã, make you have a perfect view. 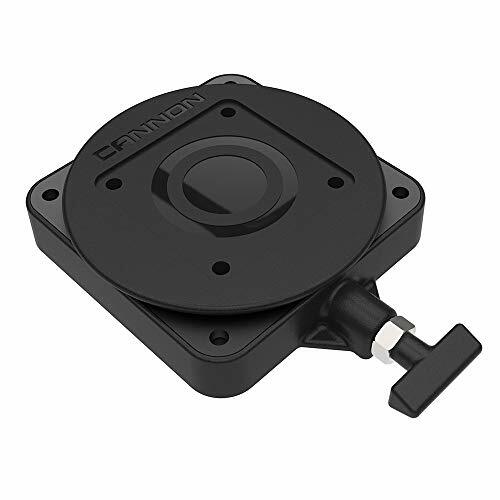 The Cannon Low-Profile Swivel Base keeps your camera steady for easier, clearer picture taking. This base is manufactured using Lexan components and stainless steel for durability. 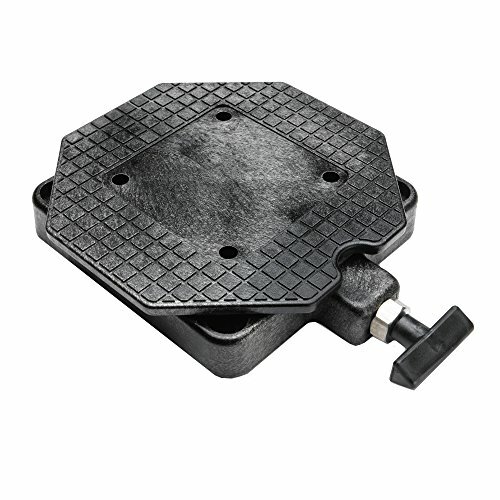 The downrigger base has a low-profile and 360 degree rotation that lets you easily turn the base in any direction to take the photos you want. 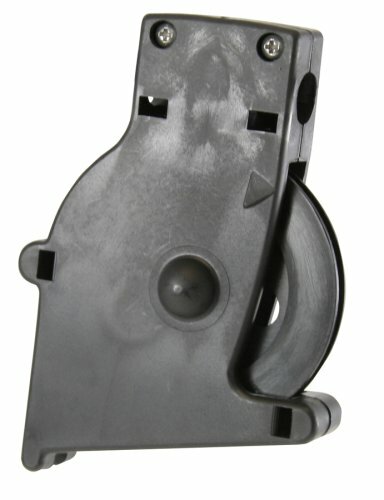 The six-point locking base features two 45 degree positions. 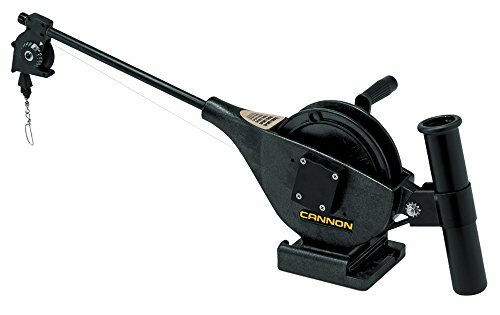 Put your downrigger in the best position to reel in the big one with the help of this Cannon Stainless Steel Low Profile Swivel Base. 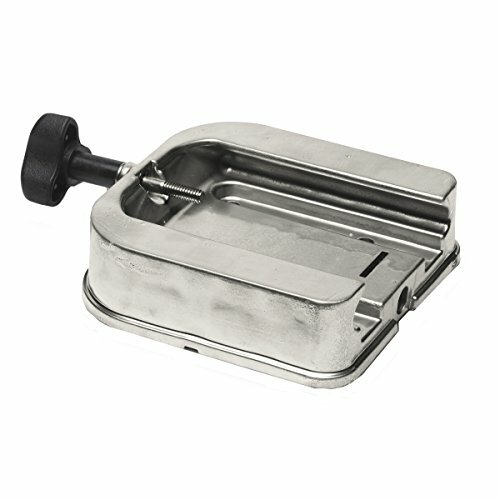 It is constructed of sturdy and durable 316-grade stainless steel that is rust and corrosion resistant for long-lasting use. It is equipped with 16 locking points and provides a 360-degree downrigger rotation. It comes with all the necessary mountain hardware. Get 360 degree rotation on any Cannon downrigger from this 16-point swivel base that locks every 22.5 degrees.Â Lexan components and stainless steel construction make it as strong as it is versatile. Features: -Universal TV wall mounting bracket design fits LCD/LED/Plasma TVs. -Tilt: up to 12 degrees down or 2 degrees up and any angle in between. -Swivel: 90 degrees to left or to right. Weight Capacity: -77 Pounds. Mount Type: -Wall mount. 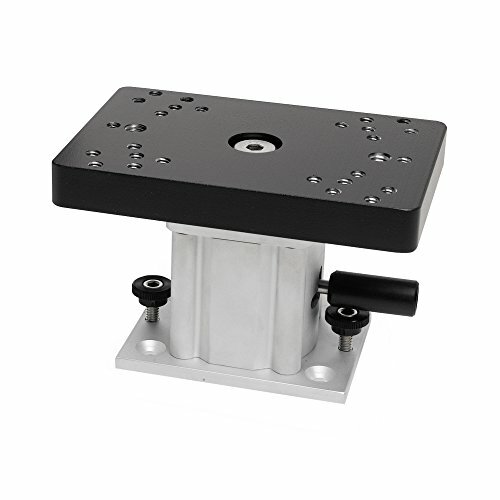 Adjustability: -Tilt/Swivel/Articulating/Extending arm. Color: -Black. Compatible Screen Size: -28" - 32"/33" - 40"/41" - 46"/47" - 50"/Greater than 50". Bracket Included: -Yes. Compatible TV Brand: -Samsung/Vizio/Sony/Sharp/LG/Panasonic/Universal. Compatible TV Type: -LCD/Plasma/LED. Dimensions: -The wall plate will fit 16" spaced dry wall studs. -Maximum extension from the wall: 20.9". -Screen size: 23" to 55". Overall Height - Top to Bottom: -3". Overall Width - Side to Side: -27". Overall Product Weight: -12 lbs. Specifications: VESA Compliant: -Yes.